The Viva VHS Video Palace mystery VHS tape! Back in March of this year I was up in Birmingham to visit the Video Palace pop-up rental store that had been put together for one weekend by the great VIVA VHS aka the video king Dale. This trip back to celebrate the past glories of the video store was so well put together and so much fun to look through that it was completely worth the day trip up there to check it out. One funny thing on the day was that Dale had been given a mystery box of blank VHS tapes by someone who’d just walked in and donated them. So Dale just wrote FREE on the box and let people help themselves, which is where things got interesting for me as I decided to look through everything in the box and try and find the oldest looking tape in there. None of the tapes had anything written on them so you had no idea of what was on them, digging right to the bottom I found one very interesting looking tape, one that looked much older than anything else in the box. 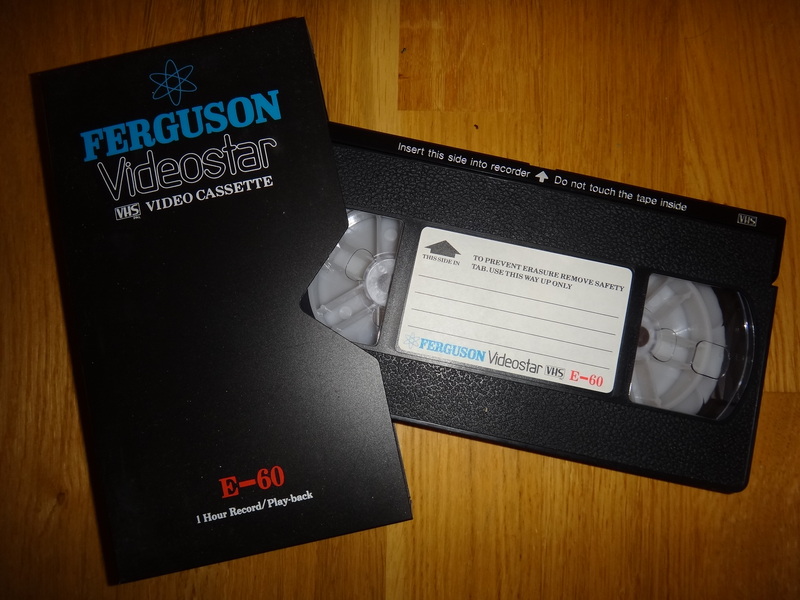 This very 1980s looking Ferguson Videostar tape really stood out form the rest as it looked in great condition and was a very rare 60-minute tape which you don’t see very often. So that was the one tape I decided to take on the day. Now fast forward to November and the time was right to watch this tape and find out just what was on it! So what did I find…? A 1984 TV recording of the Torvill And Dean TV special Path To Perfection, with the original adverts in it! OK maybe not the most exciting find, but it’s still fun to watch a 31-year old TV recording and it’s those adverts that really make it more interesting. One thing to note is that in this hour long TV show there’s only one advert break, if this was on TV now there’d be at least 3 or 4 advert breaks plus those annoying sponsorship idents to deal with as well, so things sure have changed. ← The Carrier – Would you like cats with your trailer?